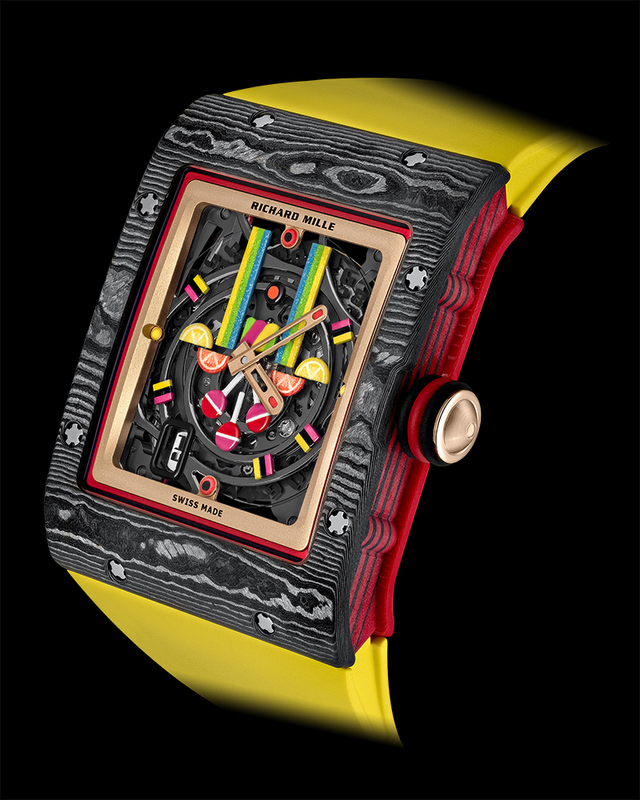 WITH apologies to Tom Wolfe; but the assorted hues and playful elements adorning Richard Mille’s new Bonbon Collection are simply too trippy, too loopy, able to summon images from the bygone Technicolor, kaleidoscope world in which the late writer practiced his brand of New Journalism. Far out, and all that. 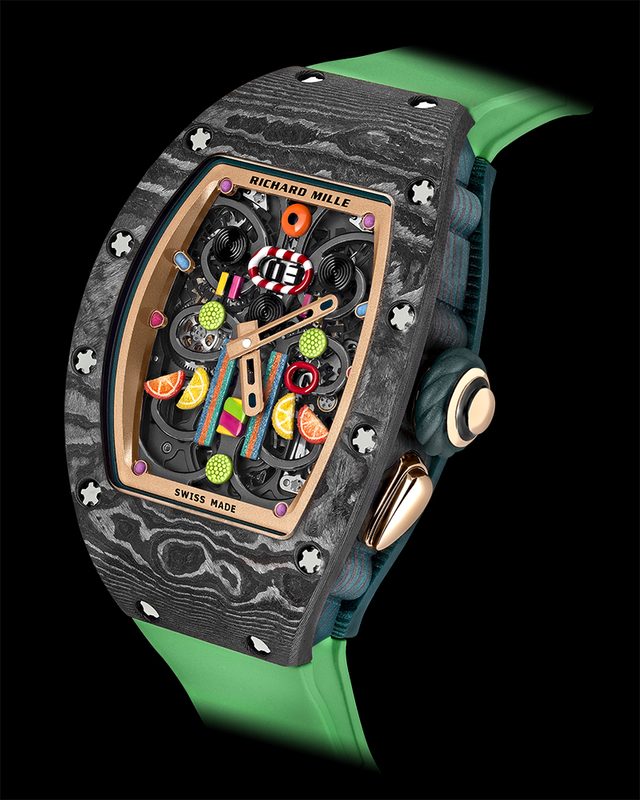 The 10-model Bonbon range, announced at the 2019 Salon International de la Haute Horlogerie, is available in 30 examples each and in a palette of 60 colors. 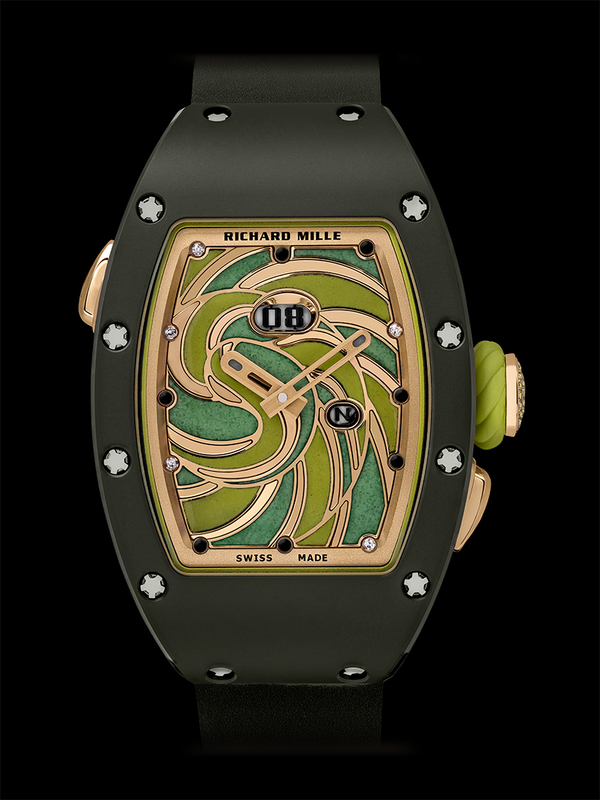 It presents Richard Mille’s RM 07-03, RM 16-01 and RM 37-01 watches in a manner Wolfe would have done himself if only he had indulged in the more productive pursuit of watch-making, rather than writing. 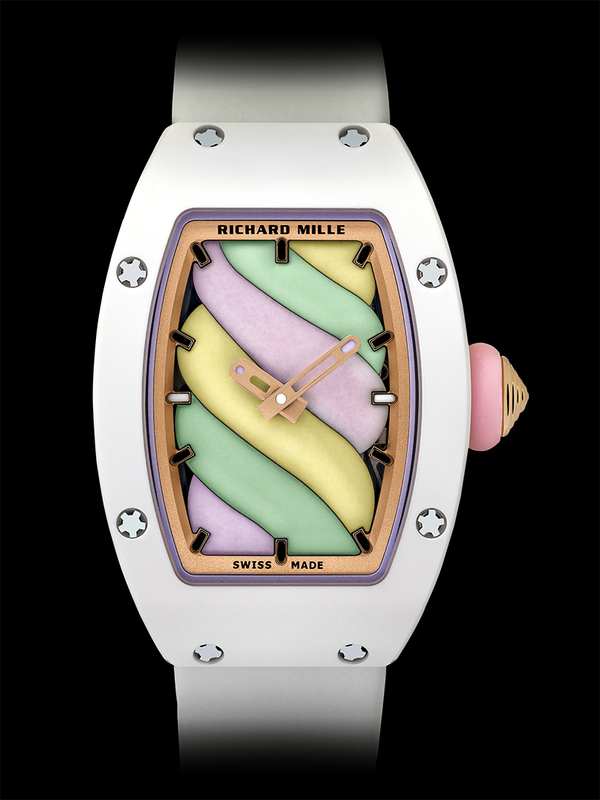 With the Bonbons, Richard Mille serves up candies, pastries and fruits for the wrist. The confectionery is divided into two lines — Sweets and Fruit. Sweets is made up of four models, all with two-tone TZP ceramic cases that set off their Grand Feu enamel or black-chromed titanium decor. 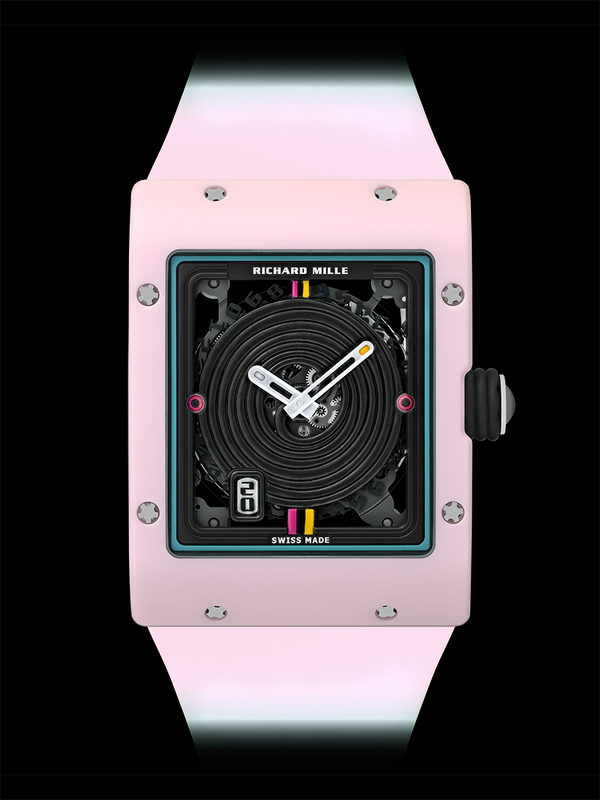 The RM 07-03 Cupcake, RM 07-03 Marshmallow, RM 37-01 Sucette (Lollipop) and RM 16-01 Reglisse (Liquorice) all combine their cases with swirling gobs of candy-colored sculpture. 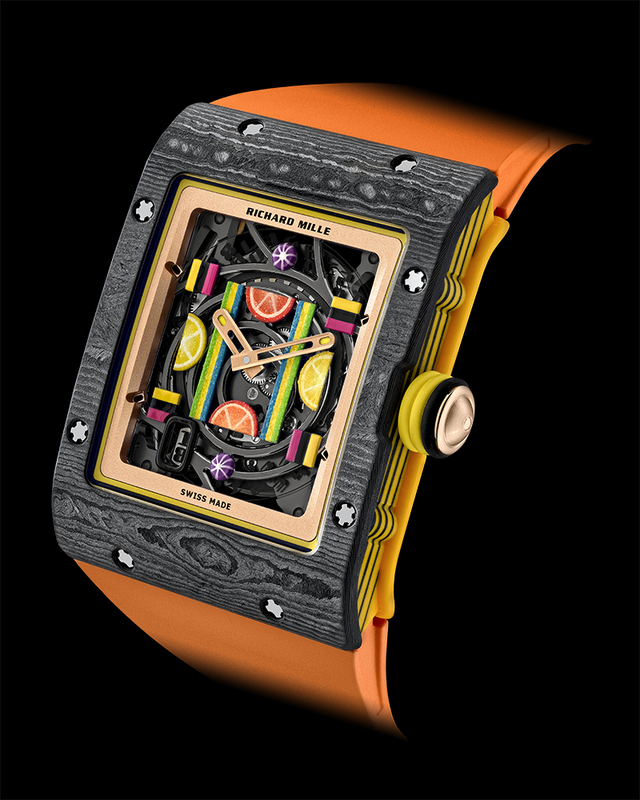 Fruit also reinterprets all three Richard Mille models chosen for Bonbon. 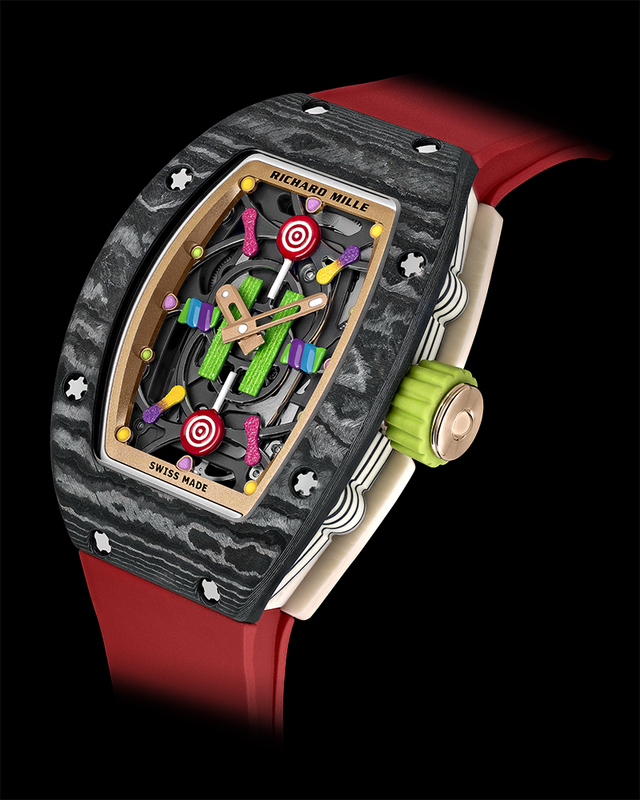 The watches are rendered in six delectable flavors — the RM 16-01 Lemon and Strawberry (Citron and Fraise), RM 07-03 Blueberry (Myrtille) and Litchi, and the RM 37-01 Kiwi and Cherry (Cerise) — in color-gradated cases. 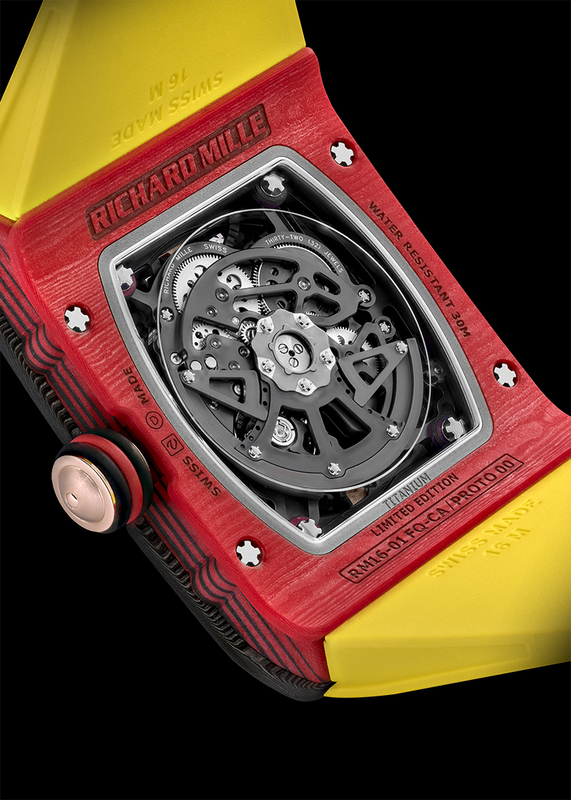 The cases are made from Carbon TPT that’s mixed with Quartz TPT, the color of which differs for each model. Embellishing their dials are 3,000 “candies” hand-painted in acrylics and lacquer, many of which received a “sugar coating” of powdered enamel and fine sand so both their texture and tonal values become realistic. ‘The idea was to revisit the existing collections while playing with color. This allowed me to bring out a pop-inspired sense of fun,” said Cecile Guenat, artistic director for the collection (she is also the daughter of Mille’s business partner, Dominique Guenat). 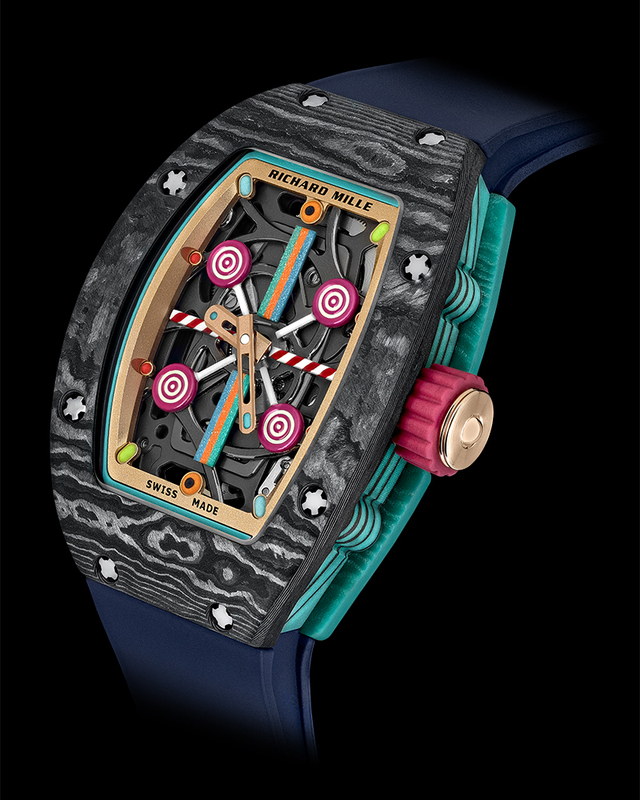 Despite their zany aesthetics, the Bonbon confections are actually the products of Richard Mille’s mastery of high-tech materials. The brand, after all, is known for its expertise in tinted ceramics, layering Carbon TPT and Quartz TPT, and gem-setting. Certainly, the watches’ movements are nothing to scoff at either. 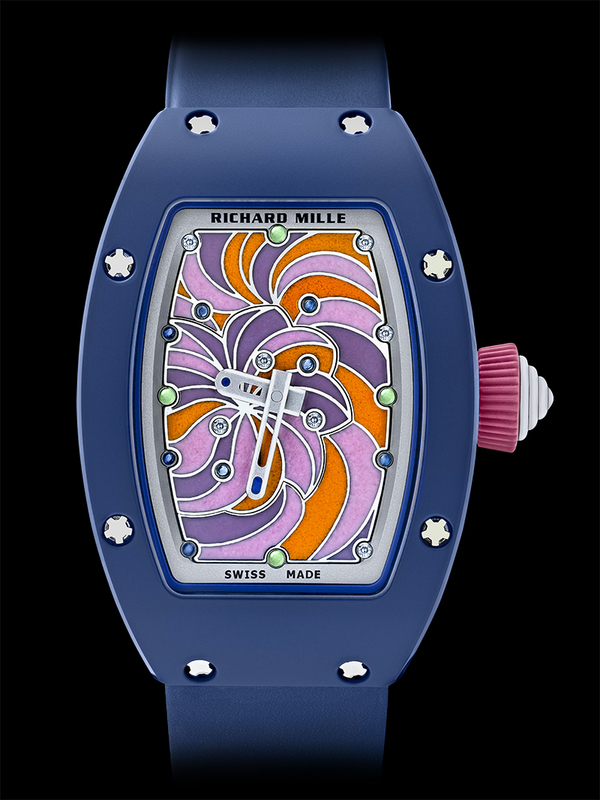 The RM 07-03 is spun by the self-winding cal. 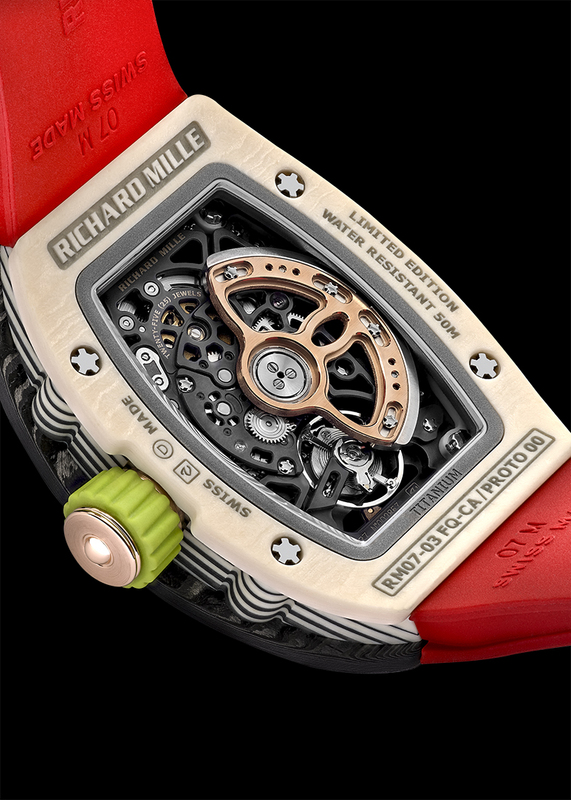 CRMA2, which boasts of an 18-karat gold rotor that can be set according to how active the watch’s wearer is, ceramic ball bearings, and a mainplate and bridges made from titanium. 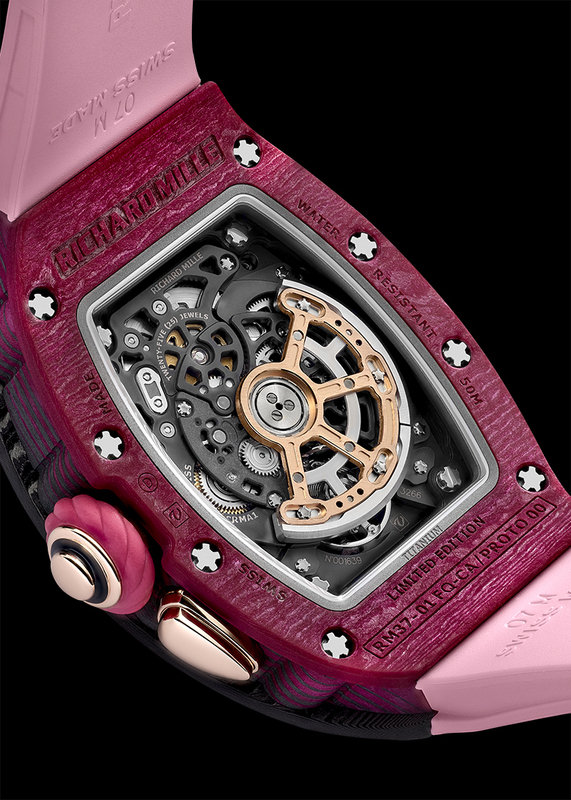 This movement has a power reserve of around 50 hours. Both the cal. RMAS7 in the RM 16-01 and the cal. CRMA1 in the RM 37-01 flaunt the same variable-geometry rotor and select movement parts fashioned from titanium. So, quite yummy, these Bonbons are.